Opening Day on the Bay is an annual celebration of the maritime community on the San Francisco Bay. 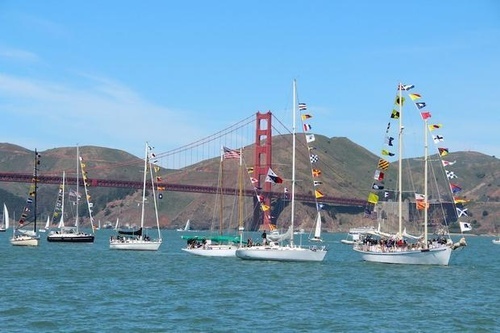 Blessing of the fleet, parade, and sail—One of the most popular days of sailing on the San Francisco Bay! Begins in Racoon Straits. Sausalito, San Francisco, Tiburon and more. Opening day at SYC begins at noon until 6pm and I believe the boat blessing is at 10:30am.